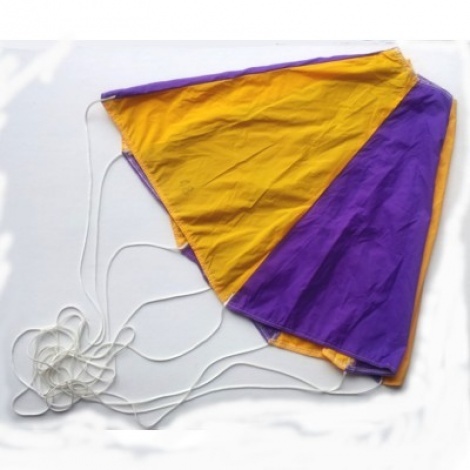 Professionally made by a real parachute company, the Public Missiles parachute really is the highest quality chute on the market. All Public Missiles parachutes are made of rip-stop nylon coated with urethane for zero porosity, and have a spill hole at the apex to reduce sway and drift. (Refer to the information below to calculate the approximate size chute required for your rocket). Tip: Multiplying the square root of the recovered weight of your rocket by 3.2 gives you a ball park figure of the parachute canopy diameter required in centimeters, for a descent rate of approximately 5 metres per second.